Within my GT (gifted and talented) groups, many of my students are second language learners. Thus, I have great diversity among my students, as some of the data points that qualify them for GT are non verbal intelligence scores, demonstrating their thinking, reasoning and problem solving skills independent of language. Still, even with Spanish resources available to them (like translate on Google), my class is rigorous and all in English. Thus I often have a wide array of learning paths among my students. So how do I ensure that all my students continue to be challenged in a way that allows me to keep my sanity with all the different levels in my room and across my program? 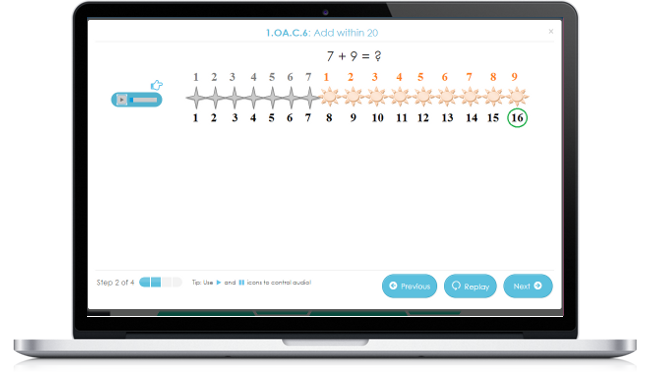 Adjustable learning levels and Scootorials! When my students get to their dashboard, they can click on suggested Scootorials. When my students go to their dashboard, they can see recommended Scootorials. Even better, I love the way the Scootorials are integrated into the learning path honeycombs! 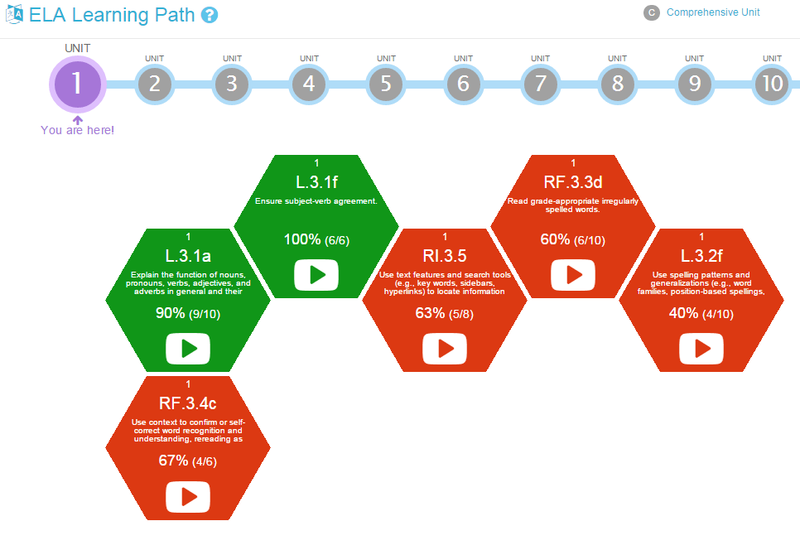 Below is Elwin’s honeycomb from his ELA path. His strengths and struggles are obvious, which allows him to see for himself what doing well in and where he needs more support to learn. And then, right there, without having to raise his hand, ask for help, let anyone know what his struggles are, is the Scootorial! Private, accessible, individuated. Without having to call attention to himself (and without me needing to provide an overabundance of learning support) Elwin can continue to learn and grow in his areas of struggle. Both he and I can breathe a sigh of relief! 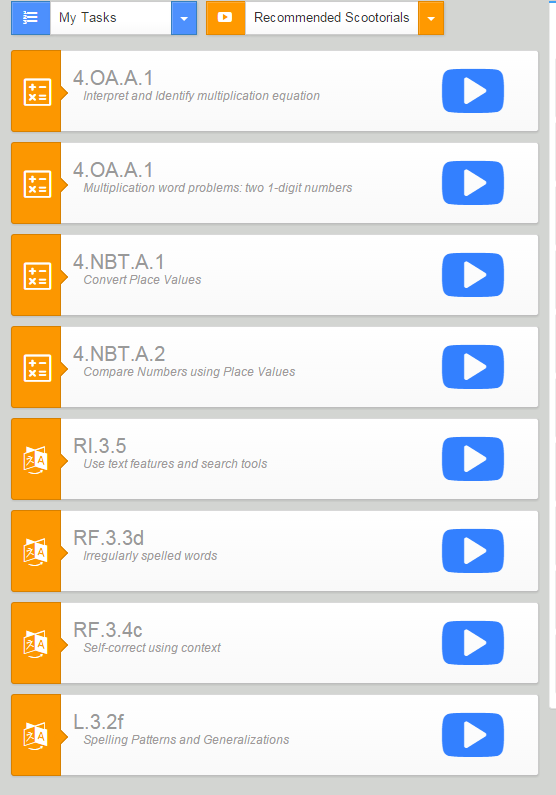 How do Scootorials serve your students?